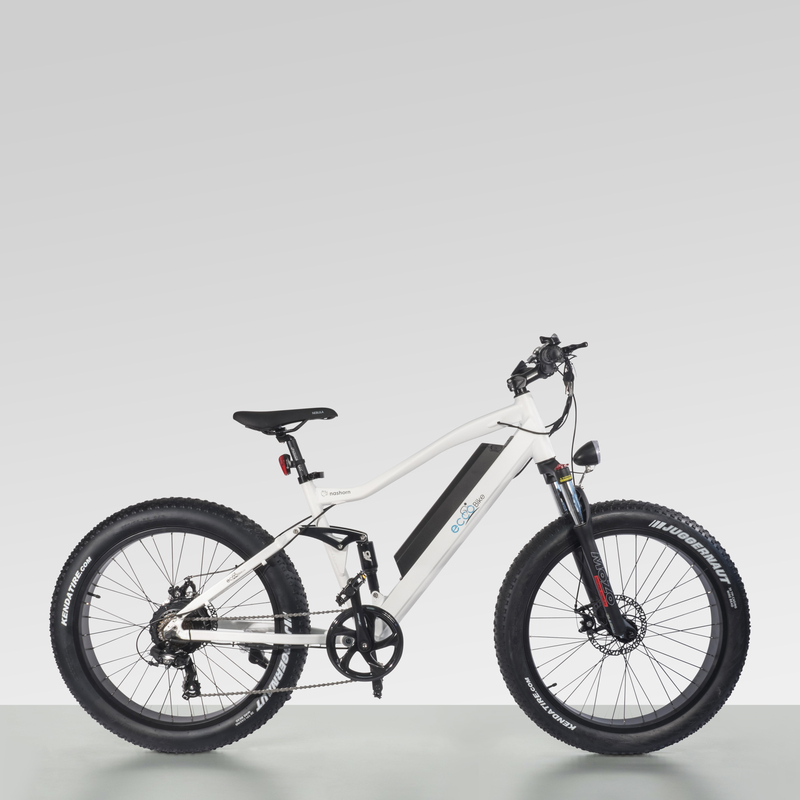 EccoBike™ Nashorn Gen2 is one of the most powerful, full suspension performance e-bike packed with top of the line specifications. The second generation comes with improved Tektro Hydraulic breaks for a faster and smoother stop. When coupled with our 80N.m torque motor this bike has the acceleration and braking power that will exceed expectations. We upgraded the Nashorn Gen2 with a top of the line derailleur from Shimano Altus. 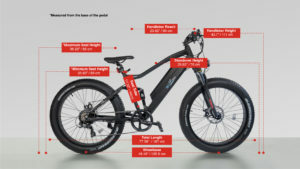 The Nashorn e-bike offers a 48V 750W motor (For our Canadian consumers the speed is limited to 32km/h and 500w power output, so it complies with Canadian regulations) taking you even further to where you need to go. This unique combination of Full-suspension and fat tires offer the ride of your life on the road or nature. We added extra hours in craftsmanship in building the frame to the highest standard nothing in comparison with our competitors. Thanks for a comfortable ride! The adjustable stem really did make a difference. Always a comfortable ride with this one! I bought this as a gift for my boyfriend on our anniversary. He loved it!!! I might get one for myself as well so we can go riding together. For greater power, it is understandable that you have to spend more money. I said I needed a bike for longer rides and they recommended this one. The price is worth it performance. The power is no joke. The power on this one is amazing!!! Since I live in a place with hills, going over them is easier. I'm really glad I went with this one! Going through crazy big uphills? not a problem with the nashorn! It still won't be an easy climb but definitely better than with other kinds of bike. Why not a give it a try! !